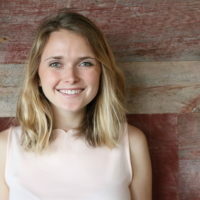 Kat joined NACTO in 2018 as a Design Associate for the Global Designing Cities Initiative. She’s currently supporting work on GDCI’s Streets for Kids and Bloomberg Initiative for Global Road Safety (BIGRS) programs. In her endeavor to create more inclusive and equitable cities for people, Kat has recently worked with Copenhagenize Design Co. in Montreal to design bicycle network strategies for cities across North America. She previously worked with John S. and James L. Knight Foundation in Philadelphia to study the impact of Civic Commons investments in local communities, and with Gehl Institute to plan the content of workshops and site visits for the Public x Design 2017 conference. Kat holds a Bachelor of Arts with honors from Villanova University, where her Communication and Cultural Studies coursework and passion for harnessing the power of public space led her to design the campus-wide campaign, Get Woke Nova. This campaign addresses social stigmas and barriers to inclusion in the student body through participatory on-campus installations and personal-narrative-based social media platforms.